AC Maintenance for your air conditioning equipment is essential in keeping your system performing at its best. We offer an AC maintenance agreement plan that allows us to inspect, clean, and make repairs if necessary to your system ensuring your air conditioning and heating equipment will be running efficiently and safely when you need it. Each season that passes increases the load on your air conditioning system. While in the Friendswood area we really only have two seasons (Hot and Hotter) our air conditioning units get stressed as the thermostat triggers the air conditioning to cycle many times a day. It is very important to make sure that your AC is properly maintained with a regular AC maintenance schedule. 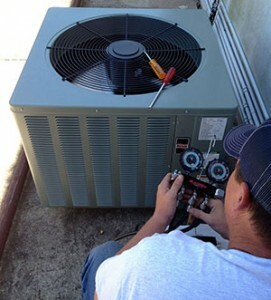 Air Systems Texas is Friendswood’s finest Air Conditioning & Heater Repair and Service Company. We specialize in air conditioning service and repair. We strive to meet and exceed our clients expectations for quality service. Many of our clients are your neighbors. Friendswood folk love us and show their love by referring us to their friends, family and neighbors. The greatest compliment you can pay us for a job well done is referring us to your friends! 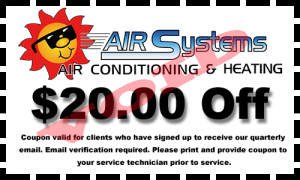 Our AC maintenance packages have been created to optimize the performance of your air conditioning system. Smart homeowners recognize that an ounce of prevention is worth a pound of cure; in other words, keeping your system maintained curbs the need for costly repairs that may result from lack of regularly scheduled AC maintenance. Our Friendswood clients enjoy the best performance AC maintenance service. Contact Us Today To Schedule Your Maintenance! Be sure to visit us and leave a recommendation on our SuperPages listing!